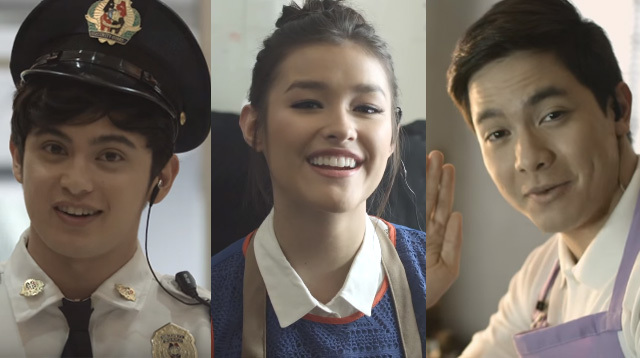 Watch James, Alden And Liza Go Undercover As Working Class Pinoys! They're here to serve YOU! So what happens when three of the biggest and hottest stars go undercover as regular peeps? Well, expect all of the three reactions: 1. LOTS of staring; 2. Confusion; and 3. Hysteria (which can be masked by awkward laughter). These were the reactions of them regular folk (how lucky were they?) when they were given a chance encounter with James Reid, Alden Richards, and Liza Soberano! Watch James as a security guard, Alden as a grocery bagger, and Liza as a tea shop barista in these three hilarz videos!